Japan is set to host a series of mega events, such as the Rugby World Cup 2019 and the Olympic and Paralympic Games Tokyo 2020. Set in the stadiums and arenas that will serve as the core of the sports infrastructure, Panasonic and Japanese ticketing service company PIA have partnered up to launch efforts "to enhance the user experience by means of electronic ticketing." A new worldview is being brought about by technologies condensed into stadium solutions. - With an aim to develop a 15 trillion yen market by 2025, sports are attracting more attention in Japan than ever before. - On the other hand, smartification of stadiums and arenas in response to the demands of the times has become a challenge. - To resolve this challenge, Panasonic has partnered with PIA Corporation to launch demonstration experiments "to enhance the user experience by means of electronic ticketing." - The aim is to complete a service platform that can satisfy all visitors, administrators, organizers and sponsors. Currently in Japan, sports are attracting more attention than ever. 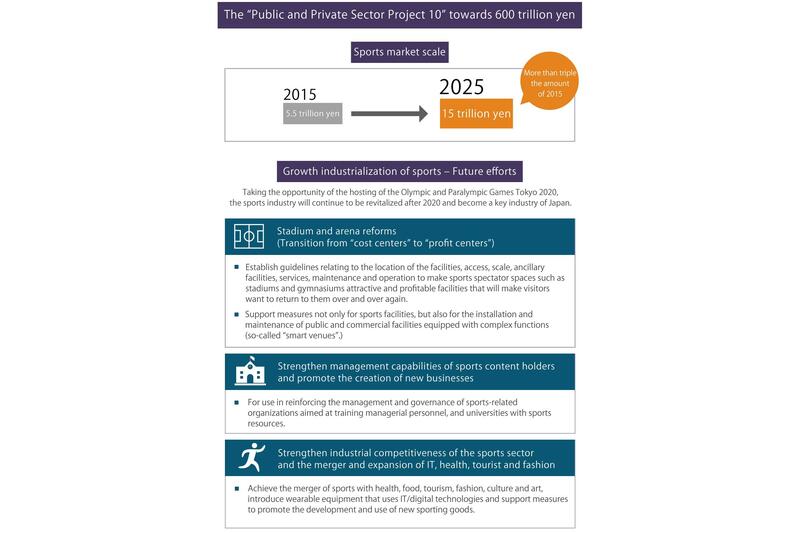 In the "Japan Revitalization Strategy 2016" released by the Cabinet Office, the sports industry was positioned as a growing market, and the target market size was determined to be 15 trillion yen by 2025. This figure is more than three times the size of 2015. As if to build momentum, a series of international mega events, such as the Rugby World Cup 2019, the Olympic and Paralympic Games Tokyo 2020, and the World Masters Games 2021 Kansai will be held in Japan. The growth of the market signifies that even more people can engage in sports than before. 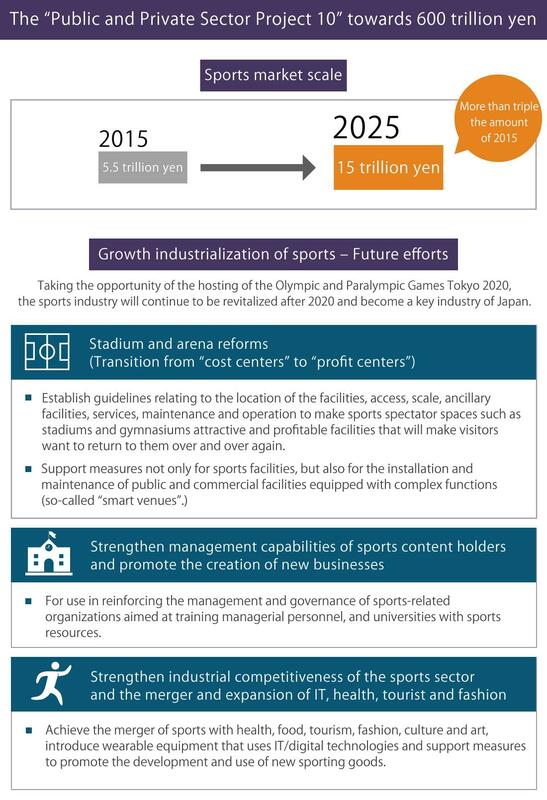 This is included in the Japanese government's policy, but in order to achieve it, "maximizing the value of sports" is a crucial step. One of the most intimate points of contact for maximizing its value is sport spectating. Led by the traditional sport of baseball, many professional sports, including soccer, basketball, golf and boxing, are played in Japan, and a big reason why is because the country is equipped with suitable environments for full-fledged sports competitions throughout the seasons. The next obstacle is figuring out how to achieve "multi-stage progress." Diligently conducting conventional methods, such as strengthening promotion and educating from childhood are important, but recently attention is being paid to smartification of stadiums and arenas in response to the demands of the times. Adopting digital technologies that support efficiency will enable visitors to experience a new world that was not possible in analog form. The services that will be introduced today were developed from these efforts. Panasonic will form a partnership with PIA, a leader in the ticketing service industry, and with the cooperation of Gamba Osaka, will carry out large-scale demonstration experiments to "enhance the value of the stadium experience by means of electronic ticketing." The stage is set for November 24, 2018, the day of the match between Gamba Osaka and V-Varen Nagasaki at Panasonic Stadium Suita. A supervisor discussed the background of the development of these efforts, the outline of the solutions and the vision for the future. In some cases, sporting events can attract tens of thousands of people. These events share the common challenges faced by the stadiums. For visitors, some of these challenges include smooth entering and exiting and reducing congestion when purchasing goods, food and beverages inside the venue. For stadium operators and organizers, the difficulty of investing in new facilities, improving planning capabilities to attract visitors and strengthening marketing and sales forces for sponsor expansion are sources of concern. In order to solve these problems, Panasonic and PIA focused on the "tickets" that serve as the initial access point. The following is from a discussion with Mr. Naoto Ohshitamoto of PIA Corporation about what served as the catalyst for this project. Next, Mr. Hiromasa Tatara of Panasonic looks back on the origin of the idea. 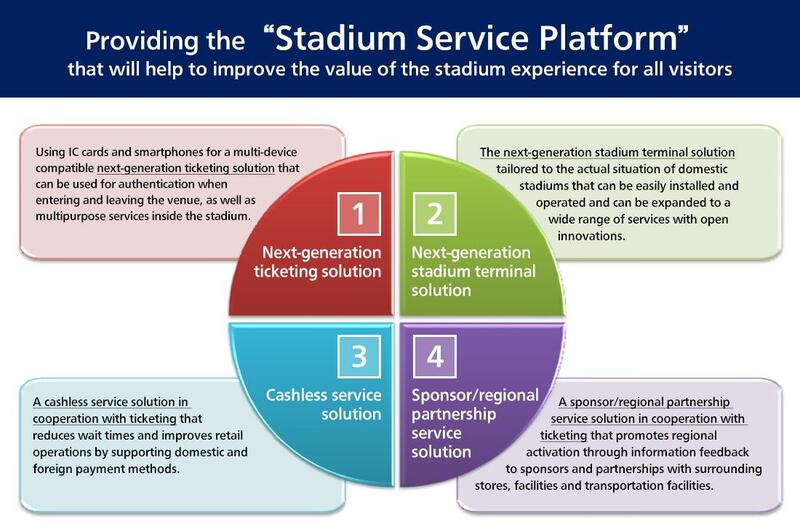 These efforts were named the "Stadium Service Platform." First, taking a look at the flow on the day of the demonstration experiment, visitors holding paper tickets will exchange them with contactless wearable-type electronic tickets at a special section near the entrance gate. In addition to paper tickets, visitors will enter using IC card annual passes, QR code-compliant paper ticket annual passes or smart tickets (QR,) so at this point everyone's tickets will be electronic. Next, as a countermeasure that does not rely on stadium facilities, the ticket information reading will be centralized using highly portable compact terminals. By adopting Panasonic's rugged "Toughbook FZ-N1," reading various activities including the gate authentication, ticket checks, coupon distribution and present lotteries, as well as seating route guides can be consolidated regardless of the visitors' devices. This high mobility will lower the hurdles on the facility side to introduce a fully electronic ticketing platform. The turning point will be the provision of multi-cashless services. All of the stores inside Panasonic Stadium Suita, which just recently opened its doors in 2016, support electronic money, so the transition to a cashless system has already been in motion. However, the wearable-type electronic tickets that will be distributed this time will use a credit card touch payment (NFC payment) mechanism with few case examples in Japan, and will enable visitors to make purchases at the stores inside the stadium with one touch using a smartphone. Mr. Tatara expects this type of innovative user experience to boost cashless actions. The benefits obtained from electronic ticketing are immense. Visitors can "smartify" congestion when entering or purchasing goods to improve the convenience of actions inside the stadium. The operators and organizers can grasp the attributes of the visitors and understand what kinds of actions they're engaging in within the stadium, which can lead to providing new services to customers and business activities to obtain sponsors. Sponsors can then be aggressive with their marketing based on the information provided to them. In addition, a regional partnership solution using the collected data is assumed with this platform, placing the activation of the stadium surroundings in the field of view. The expected number of visitors on the day is 30,000. This will be quite a large scale for a demonstration experiment, but Mr. Tatara discussed the importance of being conscious of the real thing. On the other hand, Panasonic used their comprehensive strengths to achieve the solutions. 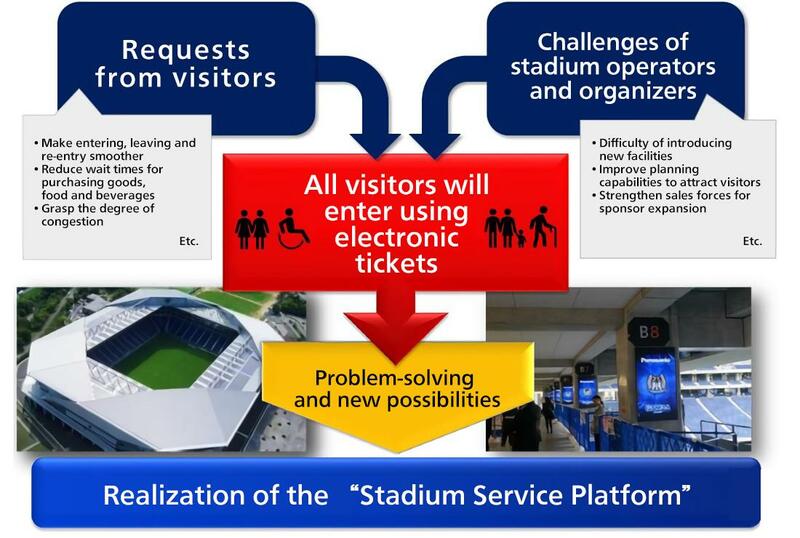 Mr. Ohshitamoto places a great deal of trust in the service, noting that, "The advantage of the Stadium Service Platform is the one-stop collection of ticket purchasing, admission, behavior and purchase history within the stadium. There are other fragmented solutions, but there are no other cross-sectional services like this." Read ticket information issued with IC, QR codes and wristbands with a single "Toughbook." Possibilities will expand if the base is completed. 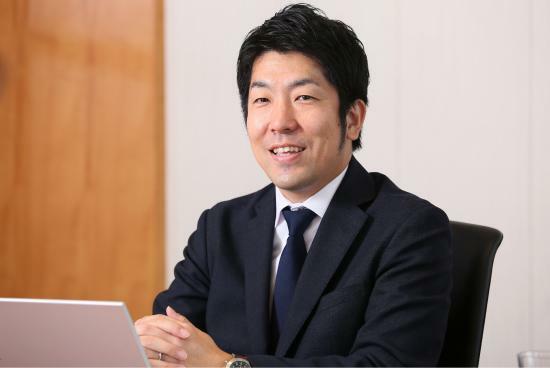 Mr. Tatara stated that, "upgrading seats in real-time is no longer a dream," and Mr. Ohshitamoto listed specific experience value improvements, adding that, "It will become easier to hand out presents to customers who enter as a designated round number, and service options will increase when entering the venues." The launch of the full-scale provision was aimed for 2020, but that date may be moved ahead of schedule if this demonstration experience is successful. Both parties provided their insight as they envision the future of electronic ticketing. "All of the visitors must be able to imagine the benefits of using electronic tickets to enter the venues. Just like we saw a shift from paper tickets to IC cards at ticketing gates in train stations, I think that it is important for the organizer to provide a vision of "what kind of worldview they want to provide" and operations as a set. For example, I'm sure that awareness will change if the entrance gates are exclusively digitized over time. 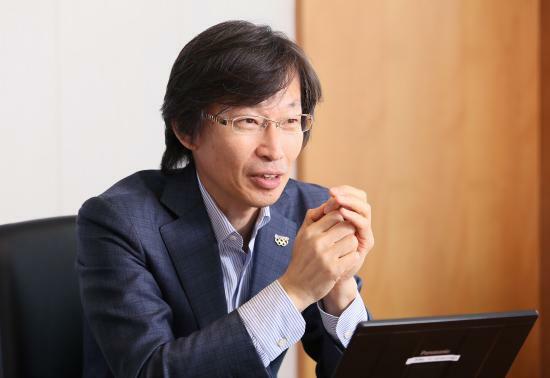 - This article was reproduced from an article published on the website "Mirai-kotohajime" on November 6, 2018, by courtesy of Nikkei Business Publications, Inc.